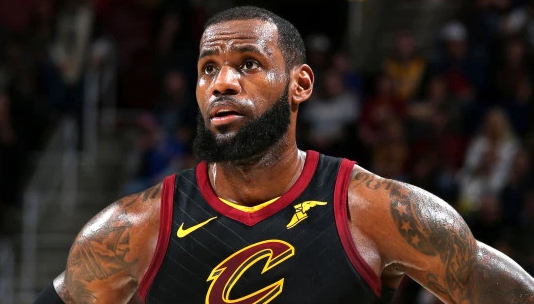 3; Bryce Maximus James, Zhuri James and LeBron James, Jr.
One of the popular professional basketball player is named LeBron James who plays for Los Angeles Lakers of the National Basketball Association (NBA). He is well known American celebrity. He is famous for contribution to professional life. He is often considered the best basketball player in the world and regarded by some as the greatest player of all time. Passionate and enthusiastic player, James was born on 30th December 1984. He was born and raised in Akron, a city of U.S. His nationality is American. His astrological sign is Capricorn. Gloria Marie James, a mother of Lebron, gave him birth at age of 16 years old. Raised by a single mother, he has been through devastating childhood facing lots of hurdles. His mother Gloria wanted a stable life for him, so she let him move in with the well-reputed family of Frank Walker, a local adolescence football coach. He was exposed to the basketball at the age of 9 by Frank Walker. He attended St. Vincent-St. Mary High School, a white private school. He was very interested in playing basketball since his childhood. James has got a great personality. Talking about his body, his height is 2.03 m. His weight is of 113 Kg. He has a balanced body with good health. He has an attractive body figure. His smiling face and charming personality have helped him to gain the attention of all the viewers. James demonstrated his early ability in basketball and started to earn fame as a genius of the game in high school. In his debutant year, Lebron averaged 6 rebounds and 21 points per match for St. Vicent-St. Mary’s Varsity team. Most of the match went in the favor of the St. Vincent-St. Mary in his time. For his stupendous game in the state championship, he was named Ohio’s Mr. Basketball, making him the 1st one to be chosen to the USA Today All-USA First Team. James started at power forward and small forward, but is capable to play the other 3 positions as well. NBA’s most versatile player, James has received ALL-NBA honors each season ever since his sophomore years and ALL-Defensive honors each year since 2009. In his debut season, he was entitled Rookie of the year with 4 MVP awards. ESPN and Sports Illustrated have ranked James the top player in the NBA since 2011. In the initial phase of his career, James was considered a weak defensive player, but he improved his game skills gradually through the years. The triumphant basketball player, Lebron won Olympic Gold Medal in 2012 as well as Olympic Bronze Medal in 2004 for his country, USA. He has to face lots of criticism from the media because of his poor performance in pressure situations. Embarking on a completely new endeavor, he stepped into acting. In 2008, his fans got a chance to watch his acting skills in the highly rated movie “More Than a Game”, under his own production. In 2011, he was seen in the flick named “The LeBrons”. He as well as featured in “Late Show with David Letterman” in 1993. In January of the 2014–2015 seasons, he missed two weeks due to left knee and lower back strains. During the 2015–2016 seasons, he was criticized for his role in several off-court controversies, including the midseason firing of Cavaliers' coach David Blatt. He presently has endorsements agreements with several prestigious companies, including Nike, Baskin Robbins Samsung, Dunkin-Donuts, Coca-Cola, Microsoft State Farm, McDonalds and more. The ardent player and intense actor grabbed the place on Forbes’ 2006 “Richest Young Celebrities List” at age of 21 by earning $22.5 million. 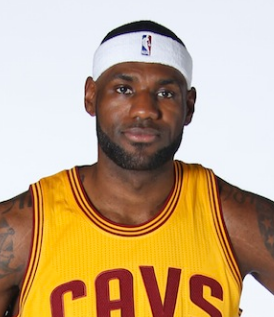 By the age of 30, King James has garnered net worth of $270 million. James announced that he had agreed to a four year with a fee of $154 million contract with the Los Angeles Lakers on July 1, 2018, which he signed on July 9. Despite facing lots of difficulties in his early age, today James has successfully stood himself as the most successful person. His hard work and dedication towards his passion have paid off well for him. He is good at what he does and his fans love him for that. The complete biography of this basketball prodigy can be found in several internet sites and Wikipedia. The net worth of James is estimated to have $450 million in 2018 with all of his properties and incomes.